Viktor Emil Frankl (26 March 1905 – 2 September 1997) was an Austrian neurologist and psychiatrist as well as a Holocaust survivor. He survived Theresienstadt, Auschwitz, Kaufering and Türkheim. Frankl was the founder of logotherapy, which is a form of existential analysis, the "Third Viennese School of Psychotherapy". His best-selling book Man's Search for Meaning (published under a different title in 1959: From Death-Camp to Existentialism, and originally published in 1946 as Trotzdem Ja Zum Leben Sagen: Ein Psychologe erlebt das Konzentrationslager, meaning Nevertheless, Say "Yes" to Life: A Psychologist Experiences the Concentration Camp) chronicles his experiences as a concentration camp inmate, which led him to discover the importance of finding meaning in all forms of existence, even the most brutal ones, and thus, a reason to continue living. Man's Search for Meaning has sold over 12 million copies and has been translated into 24 different languages. Frankl became one of the key figures in existential therapy and a prominent source of inspiration for humanistic psychologists. Frankl was born in Vienna into a Jewish family of civil servants (Beamtenfamilie). His interest in psychology surfaced early. For the final exam (Matura) in Gymnasium, he wrote a paper on the psychology of philosophical thinking. After graduation from Gymnasium in 1923, he studied medicine at the University of Vienna. In practice he specialized in neurology and psychiatry, concentrating on the topics of depression and suicide. His early development was influenced by his contacts with Sigmund Freud and Alfred Adler, although he would diverge from their teachings. From 1933 to 1937, Frankl completed his residency in neurology and psychiatry at the Steinhof Psychiatric Hospital in Vienna. He was responsible for the so-called Selbstmörderpavillon, or "suicide pavilion". Here, he treated more than 3000 women who had suicidal tendencies. [unreliable medical source?] In 1937, he established an independent private practice in neurology and psychiatry at Alser Strasse 32/12 in Vienna. Beginning with the Nazi takeover of Austria in 1938, he was prohibited from treating "Aryan" patients due to his Jewish identity. In 1940 he started working at the Rothschild Hospital, where he headed its neurological department. This hospital was the only one in Vienna to which Jews were still admitted. His medical opinions (including deliberately false diagnoses[better source needed]) saved several patients[example needed] from being euthanised via the Nazi euthanasia program. In December 1941 he married Tilly Grosser. On 25 September 1942, Frankl, his wife, and his parents were deported to the Nazi Theresienstadt Ghetto in Occupied Czechoslovakia. This Ghetto which housed many of the Jewish middle class, as a "model community" was set up by the Schutzstaffel (SS) with the expressed purpose of fooling Red Cross representatives about the ongoing slave labor the Holocaust and later, the Nazi plan to murder all Jews. There, within the Cultural life of the Theresienstadt ghetto, Frankl worked as a general practitioner in a clinic and wrote and gave lectures. When his skills in psychiatry were noticed by the Nazis, he was assigned to the psychiatric care ward in Block B IV, establishing a camp service of "psychohygiene" or mental health care. He organized a unit to help camp newcomers to overcome shock and grief. Later he set up a suicide watch, assisted by Regina Jonas. While presented as a humanitarian act on behalf of Frankl in his autobiography, Thomas Szasz and biographer Timothy Pytell have questioned this by revealing the dimension that suicide was particularly and strictly prohibited in the ghetto, with anyone that could expose or betray the ghetto as the very opposite of the intended Nazi propaganda picture of the model community, to the international Red Cross inspections and reports on Theresienstadt, receiving the threat of punishment under the principle of "kinship liability", in this regard Frankl was assisting the Nazi administration of the camp by helping retain the false image of a "model community" and its propagation. It would be years more until those in other countries would become fully aware of the conditions some of the vulnerable inside the Ghetto lived under. On 29 July 1943, Frankl organized a closed event for the Scientific Society in the Theresienstadt Ghetto, and with the help of the equally controversial Judenrat/Jewish collaborator Leo Baeck, Frankl offered a series of lectures, including "Sleep and Sleep Disturbances", "Body and Soul", "Medical Care of the Soul", "Psychology of Mountaineering", "How to keep my nerves healthy? ", "Medical ministry", "Existential Problems in Psychotherapy", and "Social Psychotherapy". Biographers state that Frankl's father Gabriel, starved to death at Theresienstadt, by Frankl's account he died of pulmonary edema and pneumonia. On 19 October 1944, Frankl, his wife Tilly, Regina Jonas and many others from the Theresienstadt Ghetto, were transported to the Auschwitz death camp in occupied Poland, where he was processed. On 25 October, Frankl is listed as arriving in the southern German Kaufering III, of XI labor camp, which held up to 2,000 male prisoners in earthen huts, who upon its opening in June of that year, the prisoners were required to construct a transport route to connect underground aircraft factories, laying the infrastructure for the mass production of the world's first jet-powered Messerschmitt Me 262 bomber destroyer, the Nazi response, to regain vital air supremacy, under the growingly unopposed effectiveness of Allied bombing upon the Nazi armament industry. According to Frankl, his feats of physical initiative at this work camp were such that they did not go unnoticed and he was gifted "premium coupons" in late 1944. According to Frankl's autobiography, when infected with the ubiquitious typhoid, he was allowed leave the work camp and was offered a move to the so-called rest camp of Türkheim, prison records list his departure from Kaufering as 8 March 1945. Frankl states that in Turkheim he was placed in charge of fifty men with typhus, it was here he rose to the position of "senior block warden" and began writing his book anew, until 27 April 1945, when the camp was liberated by American soldiers. Frankl's mother Elsa and brother Walter were murdered at Auschwitz. Frankl's wife was similarly transported out of Auschwitz and moved to Bergen-Belsen, a facility that housed a considerable number of women and minors, including Anne Frank, where they were forced to work in the shoe recycling labor camp, she would similarly be murdered, from the brutal conditions sometime close to the time of its liberation in 1945. The only survivor of the Holocaust among Frankl's immediate family was his sister, Stella, who had emigrated from Austria to Australia. Liberated after several months in concentration camps, Frankl returned to Vienna, where he dictated to stenographer-typists his well known work, "the flood gates had opened", completing the book, by 1946. Frankl then published his world-famous book entitled, Trotzdem Ja Zum Leben Sagen: Ein Psychologe Erlebt das Konzentrationslager ("Saying Yes to Life in Spite of Everything: A Psychologist Experiences the Concentration Camp"), known in English by the title Man's Search for Meaning (1959 title: From Death-Camp to Existentialism). In this book, he described the life of an ordinary concentration camp inmate from the objective perspective of a psychiatrist. Frankl believed that people are primarily driven by a "striving to find meaning in one's life," and that it is this sense of meaning that enables people to overcome painful experiences. After enduring the suffering in these camps, Frankl concluded that even in the most absurd, painful, and dehumanized situation, life has potential meaning and that, therefore, even suffering is meaningful. This conclusion served as a basis for his logotherapy and existential analysis, which Frankl had described before World War II. He said, "What is to give light must endure burning." Frankl's concentration camp experiences shaped both his therapeutic approach and philosophical outlook, as reflected in his seminal publications. He often said that even within the narrow boundaries of the concentration camps he found only two races of Men to exist: decent ones and unprincipled ones. These were to be found in all classes, ethnicities, and groups. "Under such conditions, who could blame them for trying to dope themselves?" "These were the men who were employed in the gas chambers and crematoriums, and who knew very well that one day they would have to leave their enforced role of executioner and become victims themselves." In 1946, he was appointed to run the Vienna Polyclinic of Neurology. He remained there until 1971. In 1947 he married his second wife Eleonore Katharina Schwindt. She was a practicing Catholic and the couple respected each other's religious backgrounds, going to both church and synagogue, and celebrating Christmas and Hanukah. They had one daughter, Gabriele, who went on to become a child psychologist. In 1948, Frankl earned a Ph.D. in philosophy. His dissertation, The Unconscious God, is an examination of the relation of psychology and religion. In 1955, he was awarded a professorship of neurology and psychiatry at the University of Vienna, and as visiting professor, he resided at Harvard University (1961), at Southern Methodist University, Dallas (1966), and at Duquesne University, Pittsburgh (1972). Frankl published 39 books, which were translated into as many as 49 languages. [promotional source?] He lectured and taught seminars all over the world and received 29 honorary doctoral degrees. The American Psychiatric Association awarded Frankl the 1985 Oskar Pfister Award for important contributions to religion and psychiatry. Frankl died of heart failure on 2 September 1997. He was survived by his wife Eleonore, one daughter, two grandchildren and three great-grandchildren. In The Missing Pieces of the Puzzle: A Reflection on the Odd Career of Viktor Frankl, Timothy Pytell of California State University, San Bernardino, conveys the numerous discrepancies and omissions in Frankl's "Auschwitz survivor" account and later autobiography, which many of his contemporaries, such as Thomas Szasz, similarly have raised. In Frankl's Search for meaning the book devotes approximately half its contents to describing Auschwitz and the psychology of its prisoners, suggesting a long stay at the death camp, however his wording is contradictory and to Pytell, "profoundly deceptive", when rather the impression of staying for months, Frankl was held close to the train, in the "depot prisoner" area of Auschwitz and for no more than a few days, he was neither registered there, nor assigned a number before being sent on to a subsidiary work camp of Dachau, known as Kaufering III, the true setting of much of what is described in his book. On Frankl's doctrine that one must instill meaning in the events in one's life that work and suffering to find meaning, will ultimately lead to fulfillment and happiness. In 1982 the highly cited scholar and holocaust analyst Lawrence L. Langer, who while also critical of Frankl's distortions on the true experience of those at Auschwitz, and Frankl's amoral focus on "meaning" that could just as equally be applied to Nazis "finding meaning in making the world free from Jews", would go on to write "if this [logotherapy] doctrine had been more succinctly worded, the Nazis might have substituted it for the cruel mockery of Arbeit Macht Frei"["work sets free", read by those entering Auschwitz]. With, in professor Pytell's view, Langer also penetrating through Frankl's disturbed subtext that Holocaust "survival [was] a matter of mental health." Noting Frankl's tone as almost self-congratulatory and promotional throughout, that "it comes as no surprise to the reader, as he closes the volume, that the real hero of Man's Search for Meaning is not man, but Viktor Frankl" by the continuation of the very same distortions of reality and the fantasy of world-view meaning-making, that were so disturbingly, precisely what had preturbed civilization into the holocaust-genocide of this era and others, to begin with. Pytell later would remark on the particularly sharp insight of Langer's reading of Frankl's holocaust testimony, noting that with Langer's criticism published in 1982 before Pytell's biography, the former had thus drawn the controversial parallels, or accommodations in ideology without the knowledge that Victor Frankl was an advocate/"embraced" the key ideas of the Nazi psychotherapy movement ("will and responsibility") as a form of therapy in the late 1930s. When at that time Frankl would submit a paper and contributed to the Göring institute in Vienna 1937 and again in early 1938 connecting the logotherapy focus on "world-view" to the "work of some of the leading Nazi psychotherapists", both at a time before Austria was annexed by Nazi Germany in 1938. Frankl over the years would with these widely read statements and others, switch between the claim that logotherapy took shape in the camps to the claim that the camps merely were a testing ground of his already preconceived theories. An uncovering of the matter would occur in 1977 with Frankl revealing on this controversy, though compounding another, stating "People think I came out of Auschwitz with a brand-new psychotherapy. This is not the case." In the post war years, Frankl's attitude towards not pursuing justice nor assigning collective guilt to the Austrian people for collaborating with or acquiescing in the face of Nazism, led to "frayed" relationships between Frankl, many Viennese and the larger American Jewish community, such that in 1978 when attempting to give a lecture at the institute of Adult Jewish Studies in New York, Frankl was confronted with an outburst of boos from the audience and was called a "nazi pig". In 1988 Frankl would further "stir up sentiment against him" by being photographed next to and in accepting the Great Silver Medal with Star for Services to the Republic of Austria as a holocaust survivor, from President Waldheim, a controversial president of Austria who concurrent with the medal ceremony, was gripped by revelations that he had lied about his WWII military record and was under investigation for complicity in Nazi War crimes. Frankl's acceptance of the medal was viewed by a large segment of the international Jewish community as a betrayal and by a disparate group of commentators, that its timing was politically motivated, an attempt to rehabilitate Waldheim's reputation on the world stage. 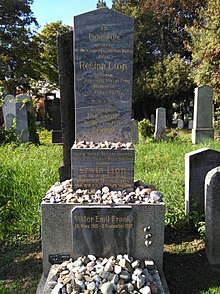 None of Frankl's obituaries mention the unqualified and unskilled brain lobotomy and trepanation medical experiments approved by the Nazis that Frankl performed on Jews who had committed suicide with an overdose of sedatives, in resistance to their impending arrest, imprisonment and enforced labour in the concentration camp system. Operating without any training as a surgeon, Frankl would publish some of the details on his experiments, the methods of insertion of his chosen amphetamine drugs into the brains of these individuals, resulting in at times an alleged partial resuscitation, in 1942, prior to his own internment at Theresienstadt ghetto in September later in that year. Historian Günter Bischof of Harvard University, suggests Frankl's voluntary request to perform lobotomy experiments could be seen as a way to "ingratiate" himself amongst the Nazis, as the latter were not appreciative of suicide being on arrest records. Frankl's logotherapy and existential analysis is considered the third Viennese School of Psychotherapy,[promotional source?] among the broad category that comprises existentialists. For Irvin Yalom, Frankl, "who has devoted his career to a study of an existential approach to therapy, has apparently concluded that the lack of meaning is the paramount existential stress. To him, existential neurosis is synonymous with a crisis of meaninglessness". He has coined the term noogenic neurosis, and illustrated it with the example of Sunday neurosis. It refers to a form of anxiety resulting from an awareness in some people of the emptiness of their lives once the working week is over. Some complain of a void and a vague discontent. This arises from an existential vacuum, or feeling of meaninglessness, which is a common phenomenon and is characterised by the subjective state of boredom, apathy, and emptiness. One feels cynical, lacks direction, and questions the point of most of life's activities. People without a meaning in their life are exposed to aggression, depression and addiction. The Doctor and the Soul, (originally titled Ärztliche Seelsorge), Random House, 1955. Viktor Frankl Recollections: An Autobiography. ; Basic Books, Cambridge, MA 2000. ISBN 978-0-7382-0355-3. ^ a b Viktor Emil Frankl (11 August 2000). Viktor Frankl Recollections: An Autobiography. Basic Books. ISBN 978-0-7382-0355-3. ^ a b c d e f g h i j Haddon Klingberg (16 October 2001). When life calls out to us: the love and lifework of Viktor and Elly Frankl. Doubleday. ISBN 978-0-385-50036-4. ^ a b Noble, Holcomb B. (1997-09-04). "Dr. Viktor E. Frankl of Vienna, Psychiatrist of the Search for Meaning, Dies at 92". The New York Times. ISSN 0362-4331. Retrieved 2019-03-26. ^ a b c d e f g h Anna Redsand (18 December 2006). Viktor Frankl: A Life Worth Living. Houghton Mifflin Harcourt. ISBN 978-0-618-72343-0. ^ "Frankl also admitted that the "primary surgeon Reich had refused to undertake the surgeries." 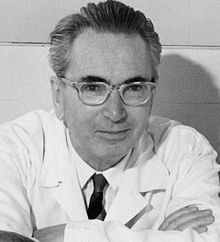 When, in order to avoid deportation to concentration camps, patients had overdosed on sleeping pills and subsequently had been given up for dead by other doctors, Frankl felt justified in attempting relatively novel brain surgery techniques. First, "some injections intravenously ... and if this didn't work I gave them injections into the brain ... into the Cisterna Magna. And if that did not work I made a trepanation, opened the skull..."
^ "Viktor Frankl, Life and Work". Viktor Frankl Institute. Retrieved 2019-03-26. ^ Alexander Batthyany; Viktor Emil Frankl (1 April 2010). "Introduction: Viktor E. Frankl and the Development of Logotherapy and Existential Analysis". The Feeling of Meaninglessness: A Challenge to Psychotherapy and Philosophy. Marquette University Press. ISBN 978-0-87462-758-9. ^ Smith, Emily Esfahani (22 February 2013). "What is a good life?". Reprinted in The Week, p. 41. Previously published in The Atlantic Magazine. ^ Adler 2017, p. 166. ^ a b c Kwiet, Konrad (1984). "The Ultimate Refuge: Suicide in the Jewish Community under the Nazis". Leo Baeck Institute Yearbook. 29 (1): 135–167. doi:10.1093/leobaeck/29.1.135. ^ a b c d e f g h i j Pytell, Timothy (2003-06-03). "Redeedming the Unredeemable: Auschwitz and Man's Search for Meaning". Holocaust and Genocide Studies. 17 (1): 89–113. ISSN 1476-7937. ^ Sacks, Jonathan (2014-06-16). "An Unparalleled Leader". Jewish Action. Retrieved 2019-03-26. ^ a b c Viktor Emil Frankl (1 June 2006). Man's Search for Meaning. Beacon Press. ISBN 978-0-8070-1427-1. ^ "A quote by Viktor E. Frankl". www.goodreads.com. Retrieved 2019-03-26. ^ a b Scully, Mathew (1995). "Viktor Frankl at Ninety: An Interview". First Things. Archived from the original on 1 May 2012. ^ Boeree, George. "Personality Theories: Viktor Frankl." Shippensburg University. Accessed 18 April 2014. ^ a b "Viktor Fankl Life and Work". Viktor Frankl Institute Vienna. 2011. Retrieved August 2, 2016. ^ Frankl, Viktor (10 August 2000). Man's search for ultimate meaning. Perseus Pub. ISBN 978-0-7382-0354-6. ^ Noble, Holcomb B. (4 September 1997). "Dr. Viktor E. Frankl of Vienna, Psychiatrist of the Search for Meaning, Dies at 92". The New York Times. p. B-7. Retrieved 6 September 2009. ^ See Martin Weinmann, ed., Das nationalsozialistische Lagersystem (Frankfurt: Zweitausendeins, 1990), pp.195, 558. ^ Lawrence Langer, Versions of Survival: The Holocaust and the Human Spirit (Albany: State University of New York Press, 1982) As "So nonsensically unspecific is this universal principle of being that one can imagine Heinrich Himmler announcing it to his SS men, or Joseph Goebbels sardonically applying it to the genocide of the Jews!" ^ a b "What is perhaps most impressive about Langer's reading is that he was unaware of Frankl's 1937 article promoting a form of psychotherapy palatable to the Nazis". ^ a b c d Yalom, Irvin D. (1980). Existential Psychotherapy. New York: BasicBooks. ISBN 0-465-02147-6. ^ Boeree, C. George (2006). "Viktor Frankl". Shippensburg University. Retrieved 7 March 2008. ^ Warnock, Caleb (8 May 2005). "If freedom is to endure, liberty must be joined with responsibility". Daily Herald. pp. A1. Retrieved 1 June 2016. ^ "Reply to a parliamentary question" (PDF) (in German). p. 267. Retrieved 18 December 2012. ^ "Reply to a parliamentary question" (PDF) (in German). p. 609. Retrieved 18 December 2012. ^ "Reply to a parliamentary question" (PDF) (in German). p. 822. Retrieved 18 December 2012. ^ "Reply to a parliamentary question" (PDF) (in German). p. 985. Retrieved 18 December 2012. Timothy Pytell (2015) Viktor Frankl's Search for Meaning, Berghahn Books. This page was last edited on 18 April 2019, at 13:19 (UTC).